Yesterday at Google I/O it was announced that Google Assistant would be receiving six new voices that you could use to suit your personal preferences with as you interact with it on your phone or Home devices. 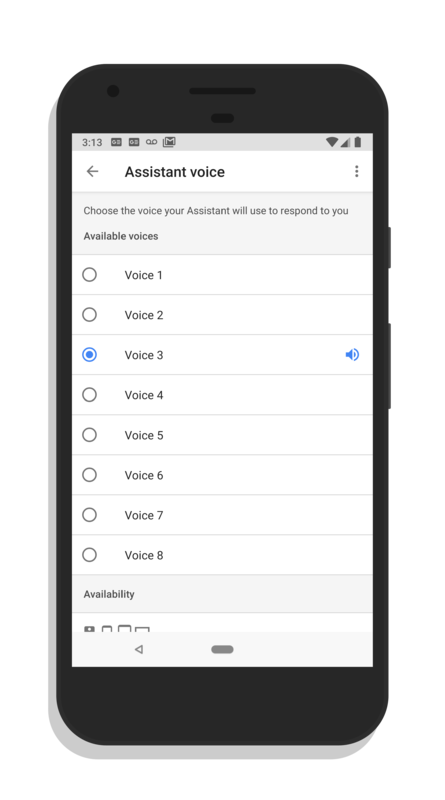 Just a day later, those new voice models are now live in the Assistant or Home app on your Android phone. You can find the new voice models under Settings>Preferences>Assistant Voice. There you can listen to a script read by each of the voices to pick the one you like the best. There are three male and three female voices to chose from in addition to the stock male and female voices that have already been in Assistant. The cool news is that, since this is a cloud-side change, the voice models are already there for iOS users too. If you have the Google Assistant app or the Google Home app on your iPhone, you should see the new voice models there too. Whether you are on Android or iOS, make sure that you have the last version of the Assistant app and/or Home app on your phone to see the new voice models. As for me, I personally like voice 5 but you have a lot of options now to make your interactions more personal and pleasing with Assistant.